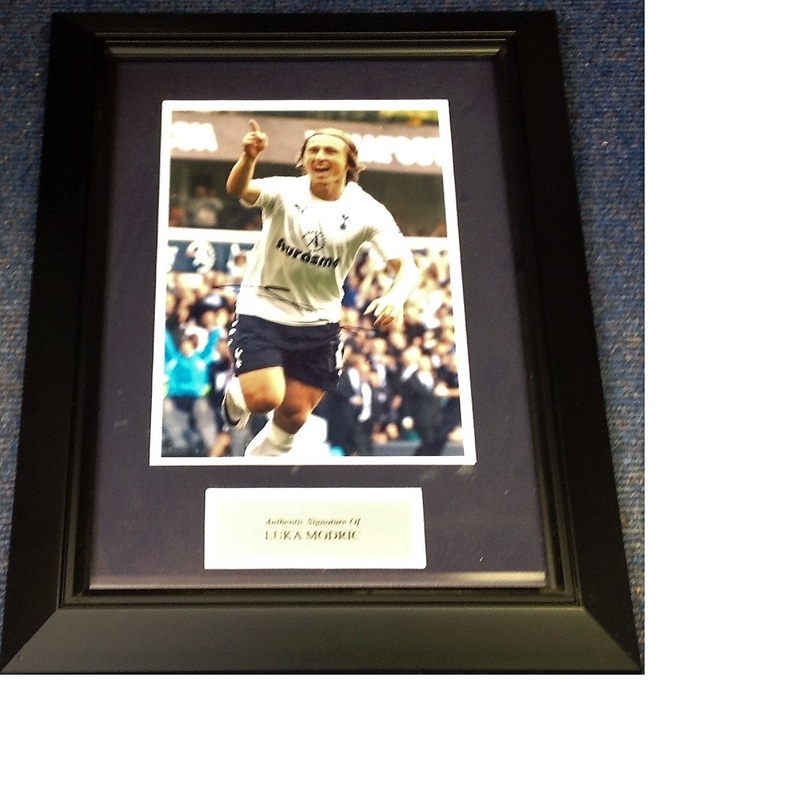 Football Luka Modri 21x14 approx framed and mounted signed colour photo pictured during his time with Spurs. Luka Modri is a Croatian professional footballer who plays as a midfielder for Spanish club Real Madrid and is the captain of the Croatia national team. Modri? plays mainly as a central midfielder but can also play as an attacking midfielder or as a defensive midfielder, usually deployed as a deep-lying playmaker. Modri is widely regarded as one of the best midfielders of his generation, and the greatest Croatian footballer of all-time. Good Condition. All signed pieces come with a Certificate of Authenticity. We combine postage on multiple winning lots and can ship worldwide. UK postage from £3.99, EU from £5.99, Rest of World from £7.99.